Susanna was appointed Chair Elect of The British Psychoanalytic Council in May. The BPC is the professional body, promoting and regulating the psychoanalytic profession. Her term of office commences in September 2018. Susanna Abse delivered a one day training on the dynamics of anger and aggression in couples and families for NScience in April and gave a keynote at the Society of Psychotherapy conference in May where she talked about the future of the psychotherapy profession, discussing the history of splits and conflicts between different modalities and advocating for greater collaboration between the professional bodies in the future. 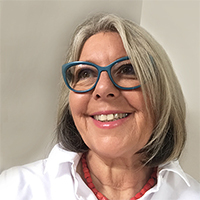 She also contributed the lead article in the Summer 2018 edition of New Associations (the newspaper of the British Psychoanalytic Council) on leadership and its challenges within the psychoanalytic world.